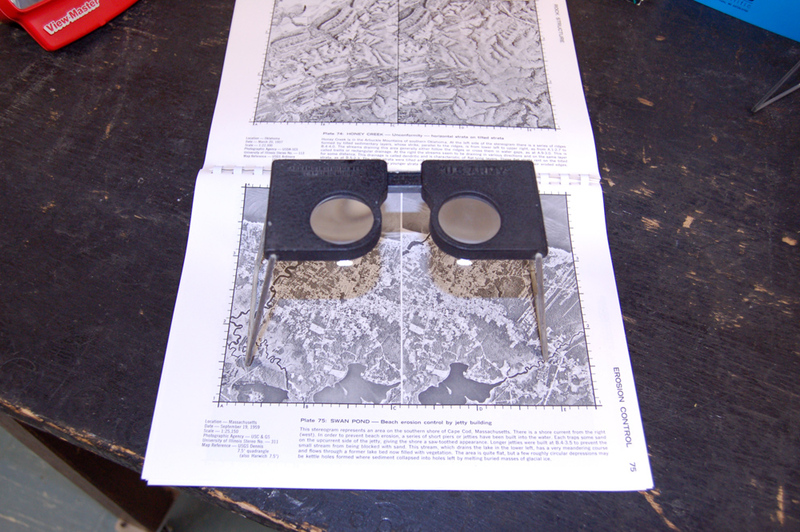 Description: These are three stereogram books with stereographic glasses. 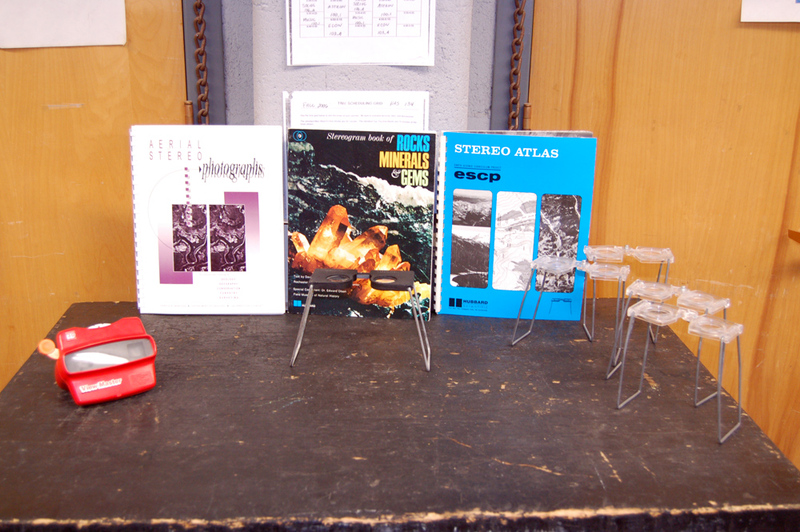 One book is of rocks, and the other two are of aerial photographs. These can be used to show that such things exhist. You can also have students come up and view it for themselves one at a time.